As the deadline approaches for the shut down of Analogue satellite on December 13, QRAM hit the road last week and completed the roll out of the VAST satellite receivers for the community radio stations of Doomadgee, Kowanyama, and Pormpuraaw. QRAM’S role is to install new generation digital radio receivers for the QRAM Black Star network and an extra job we took on was to install the receivers for ABC local radio and JJJ. Our trips have revealed some hiccups in the overall transition of remote communities from analogue service to the new Direct To Home DTH service, where every home has a receiver. Receivers were funded by a federal government subsidy, but the quality of some of the original receivers was patchy, and it was not fully understood by people in communities that they had a limited time frame to get those receivers replaced. As a result some people went back to using analogue satellite because it still worked and did not replace the DTH receiver. They are now outside the warranty period and now that the analogue service is being systematically shut down, they find themselves without TV services. It is the householder’s responsibility, but it will still be a challenge for the remote area councils to support their community members who can’t just drive down to a local shopping centre and buy a new receiver. QRAM’s job was to replace the satellite receiver equipment that sends program content to the community for local re=transmission on their FM radio service. The new QRAM satellite will mean there are now 3 programming sources for each local community; their local programs, the BlackStar Wide Area Network content and the new content on the BlackStar satellite. Communities will be able to choose the mix of programs from any of these sources and automatic switching can be set up so the local station can do this at all times of the day. The QRAM VAST service funded by the Indigenous Broadcasting Program (IBP) under the Department of Broadband and the Digital Economy (DBCDE) ensures communities always have connectivity to radio services. The broadband services provides back up for the satellite and vice versa. Our road trip took us from Cairns across the Atherton Tablelands where we joined the Savannah Way, which passes through the Gulf of Carpentaria towns of Normanton, Burketown and Doomadgee. 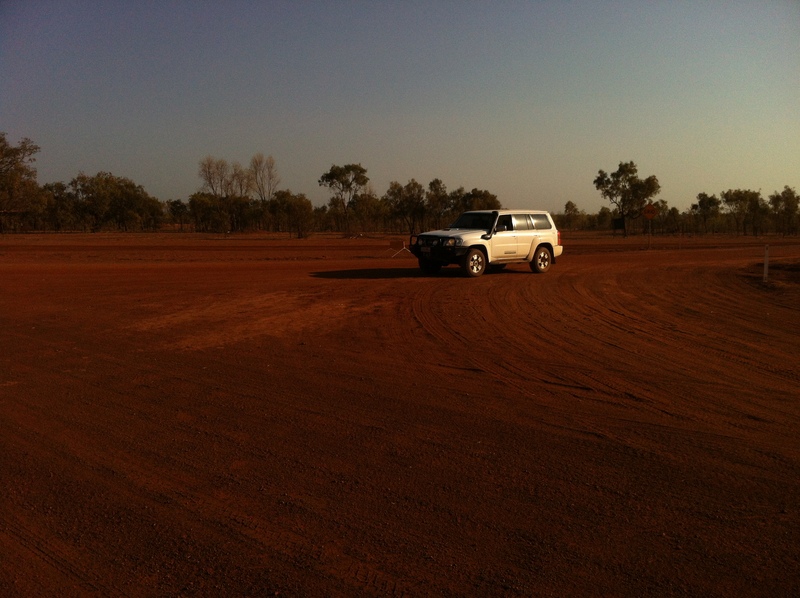 Then back to Karumba and Kowanyama. If you are contemplating going that way then remember, it is the end of the dry season. Coming up to the wet season there has been a lot of traffic on the gravel roads and they are rough as you would expect after a long dry season. There are many bull dust holes and be prepared to take your time as you may have to follow a truck.